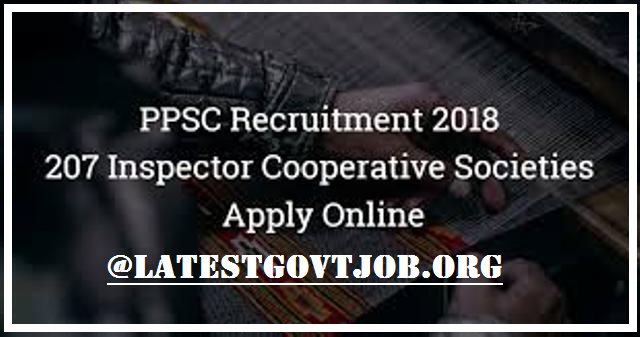 PPSC Recruitment 2018 For Inspector Cooperative Societies 207 Posts | Apply Online @ppsc.gov.in : Punjab Public Service Commission (PPSC) has released recruitment notification for 207 posts of Inspector Cooperative Societies in Cooperation Department, Punjab. Interested candidates may check the vacancy details and apply online from 14-03-2018 to 03-04-2018. Age Limit (as on 01-01-2018): Minimum 18 years and Maximum 37 years.